Small business accounting software that’s beautifully simple! We love Xero and so do our clients. That’s why it’s included in our fixed price packages at no extra cost. By sharing your latest business numbers over the cloud with us, we can work together to make your business succeed and grow. Explore features like invoicing, payroll, reporting and more. Xero small business accounting software has all you need to manage your numbers effortlessly. On Xero we can collaborate with you on your business in real-time. And you can give your staff access to the areas they need to do their job. Xero backs up your data and protects it with multiple layers of security including industry-standard data encryption and secure data centres. Xero also offer two-step authentication as an additional layer of protection for your Xero account. Simply snap a pic of your receipt with your phone, upload it into Xero and never forget to record an expense again. Customise a comprehensive list of expense categories to build accurate accounts which are invaluable at tax time. As you go about your daily business Xero works away, calculating your Self-Assessment liability. When it’s time to file, sole traders and limited company directors can submit their tax return straight to HMRC from within the software with a simple click. Connect Xero to your online bank account and automatically import transactions every day with Bank Feeds. 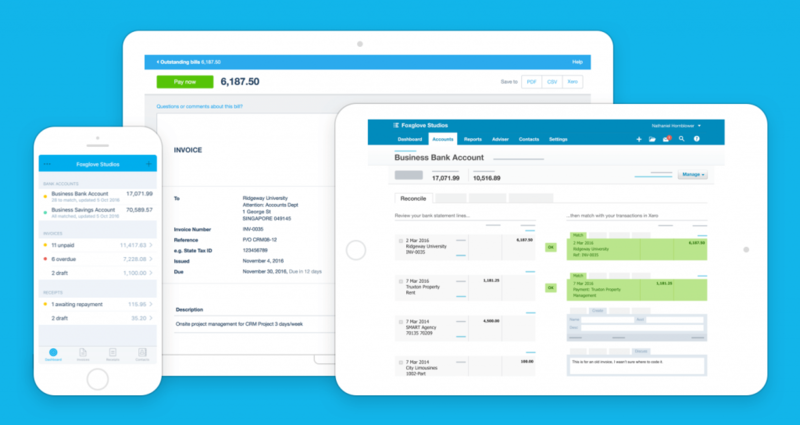 Xero builds up real-time accounts for your company and gives you a live view of your business cash flow. Xero comes part of our accountancy package, get in touch for a free consultation. That great news, we don’t need to tell you how great Xero is. If you choose us as your accountant, we will transfer you over to our dashboard and you no longer need to pay to Xero as all our software comes as part of your Accountancy package. So this means, no change to your accounts on Xero, no loss of data and simple quick transfer. We will take over all your queries from day one and help you sort out any issues you may have. Xero comes part of all our Birchtree Sullivan Accountancy packages. Get in touch for a free consultation.